I was diagnosed with cancer in 2007. Technically, it was chemotherapy that saved my life, but fitness gadgets helped me put my life back together again afterward. Before my diagnosis, I was hopelessly out of shape, but I didn’t really care. Like most geeks, I decided at an early age that fitness was just not for me. My body was never going to look good, so why bother making any effort? My world changed when I was diagnosed with cancer. Although my treatment was successful, the cancer is only in remission. It could return at any time. Suddenly I was taking my health a lot more seriously. But where to start? I didn’t know the first thing about exercise. I used to scoff at fitness magazines with their muscle men on the covers. So, like any geek would, I turned to Apple’s website. On the home page I saw a shiny new iPod nano next to a pair of Nike running shoes. I got out my credit card immediately. There’s more to fitness than running, but I didn’t know that at the time and I was impatient to get started. After a life of lethargy, I wanted to get out there and do something. I wanted to run. The Nike+iPod Sport Kit required sensors in your running shoes, and you had to sync your iPod with iTunes every time you logged a run. But before the days of iPhones with GPS, it was the best option on the market. Back then I could only manage to run a couple of laps around the block. But over the weeks and months that followed, I built up my distance and pace steadily, monitoring my progress on Nike+ along the way. At the end of each run, Nike+ played me recorded “attaboy” messages from Joan Benoit Samuelson. I had no idea who she was, but it was motivating nonetheless. After six months of running daily, I was ready to enter my first 10K race (7 miles). My time was not very impressive, but to me it was a big deal. Filled with enthusiasm for my new-found passion, I joined my local running club. Other club members scoffed at my Nike shoes and iPod. The consensus seemed to be that Nike wasn’t for serious runners. These guys wore Asics, Newtons or Brooks, and used GPS running watches from Garmin or Timex. I could certainly see the appeal of GPS watches. They were more accurate, less hassle and gave you maps of your runs. But I had gotten this far in my Nike Vomeros, and I wasn’t about to switch shoes. So I bought a Nike+ SportWatch GPS. It didn’t have all the bells and whistles of some other brands, but at the time, it was the only watch that worked with Nike+. 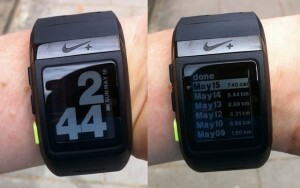 (Now, Nike+ also supports some watches from Garmin and TomTom). I loved my Nike+ watch. After initial glitches, (that I wrote about in a review back in 2011), we logged thousands of running miles together. 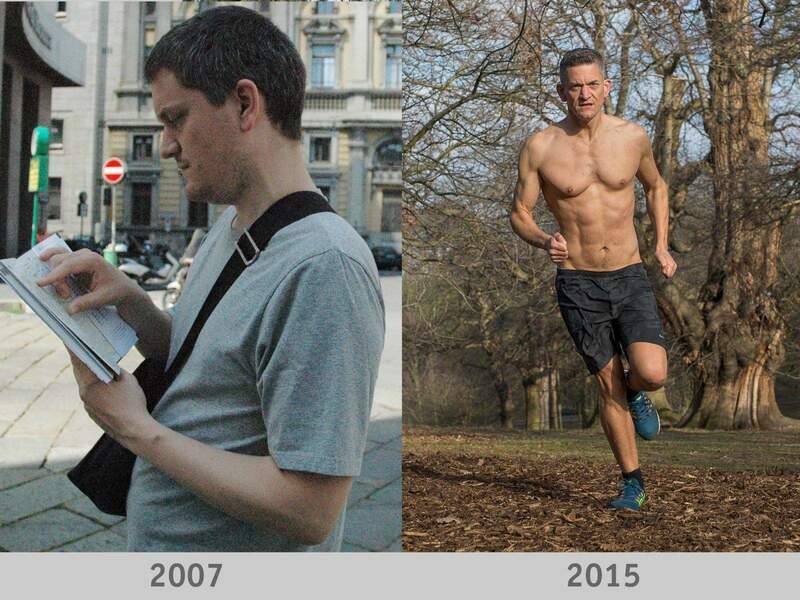 As my running fitness improved, I progressed from 10K runs to half-marathons and eventually marathons. Before my cancer diagnosis, I would never have imagined in my wildest dreams that one day I’d be running 26.2-mile races for fun. I’ve now run the London Marathon three time and the New York City Marathon once, raising more than $10,000 for Cancer Research UK, a charity that helped develop some of the drugs that saved my life. And my Nike+ watch tracked me all the way from start to finish. Nike has sadly stopped making watches, but I’d still be using my old one to this day if I hadn’t been tempted by Apple Watch. With some trepidation, I abandoned my Nike+ watch in favor of an Apple Watch. It certainly looked more elegant on my wrist. 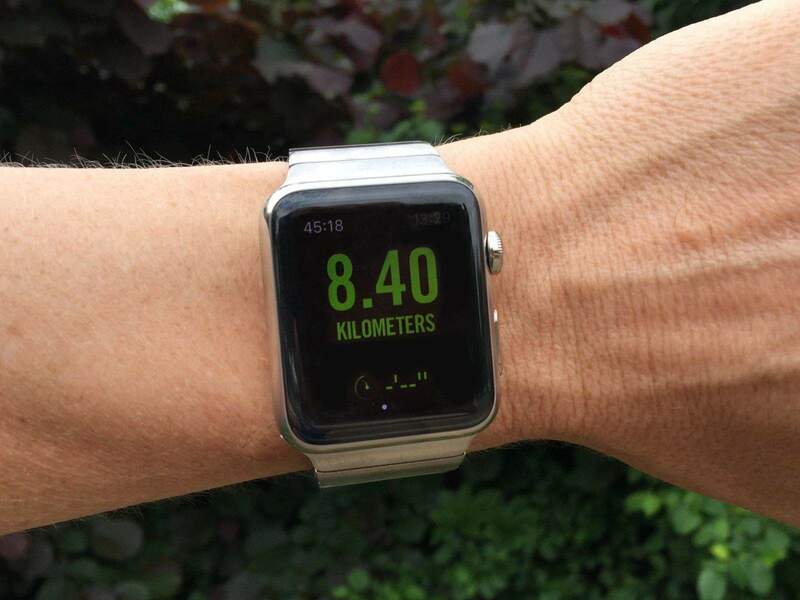 But without built-in GPS, could it really be a serious runner’s watch? 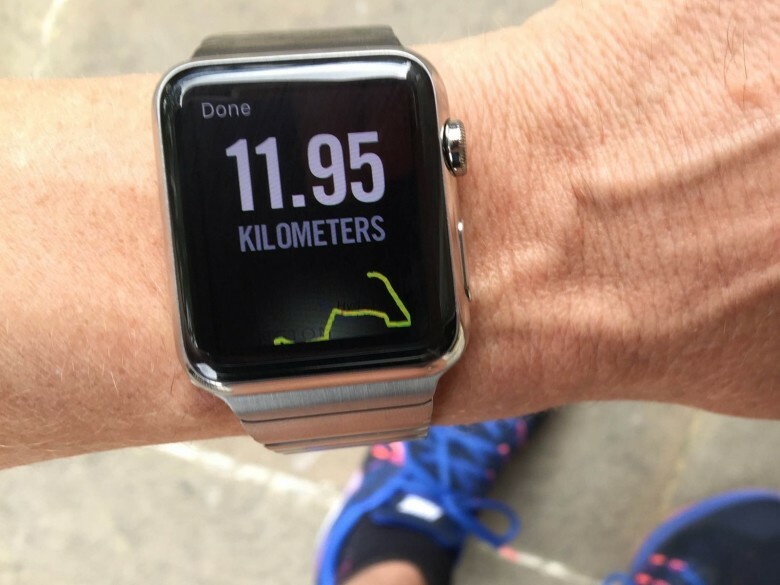 My running club buddies would answer with a resounding “no!” But of course, there’s more to Apple Watch than running. The Nike+ Running app for Apple Watch is a better choice for me than using Apple’s built-in Workout app because it includes GPS maps — plus I’ve already logged thousands of miles on Nike+, so I’m reluctant to switch platforms now. But there are two major drawbacks. Firstly, you have to take your iPhone with you. This problem is made worse by my insistence on using the extra-large iPhone 6 Plus. I struggled to find running shorts with pockets large enough. The second drawback is that there is a noticeable delay when you check your distance and pace on the Apple Watch. I assume the issue is that Apple does not allow third-party apps to run in the background. This saves battery power but it means that each time you check your watch, the Nike+ app has to reconnect wirelessly with the iPhone, which takes a couple of seconds. This lag is irritating, but it is not a showstopper. The watch app means you can log an entire run without ever taking your iPhone out of your pocket. Which for someone as clumsy as me is just as well. By this point, I was running about 7 miles a day and my weight had dropped from 190 pounds to 150. I was initially delighted by this weight loss, but friends told me I looked too skinny. And my hospital was concerned because weight loss is a “B symptom” of lymphoma — my cancer might have returned. I felt sure that it wasn’t the cancer this time. After all, I could see the huge number of calories I’d been burning in Nike+. No wonder I’d lost weight. So I decided to prove the doubters wrong by putting some weight back on. But this time in muscle, rather than fat. It was time to apply my geeky obsessiveness to a new task — researching how to get buff. Coming next week: A look at the bioelectrical impedance analyzers, skin-fold calipers and smart bathroom scales that helped me get a handle on body composition in my quest to bulk up.